Wedding Cream (07) A7 Euroflap envelopes are made using 91lb (135GSM) Colors Matt paper stock & measure 5.25 x 7.25. 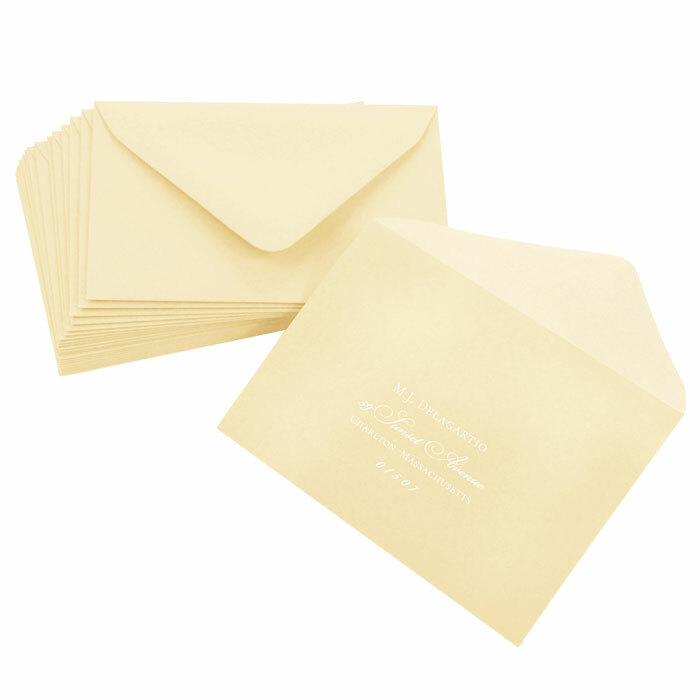 These are thick envelopes perfect for weddings and formal events. Deep pointed flap construction will add elegance to your invitation ensemble.